Everyone loves secrets! 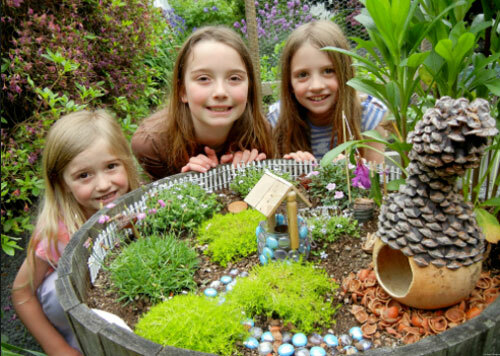 Wouldn't it be exciting to create a Fairy Garden that is full of tiny secrets? Here are a few suggestions. 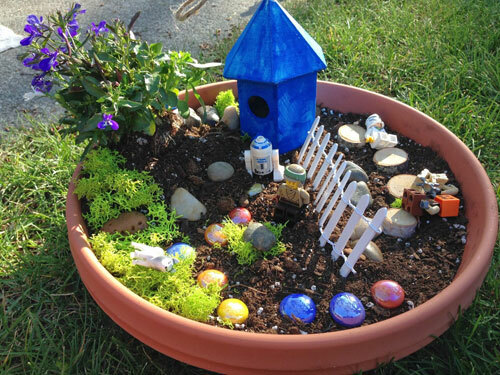 Take a shallow garden pot, like a low bowl or a low cylinder dish and use that as the base for the Fairy Garden. Make it as large or as small as you like. We have even seen the top of a birdbath turned into a lovely display. Filling the base with soil, is the easy part. Just make sure you use a good potting soil and not garden dirt. It's better if the container has a drain hole but not totally necessary. Now comes the fun part. You can place a layer of green moss around the top of the soil to create a soft cushion for all the "Fairies" to lay on. Then start adding the fun stuff. We have seen miniature doll house chairs, clay pots turned upside down for furniture. Colorful glass marbles and decorative rocks. Plant mini greenery and small brightly colored flowers. Create a mystical and magical place for your fairies to come to. The possibilities are truly endless when creating something so innocent and sweet! 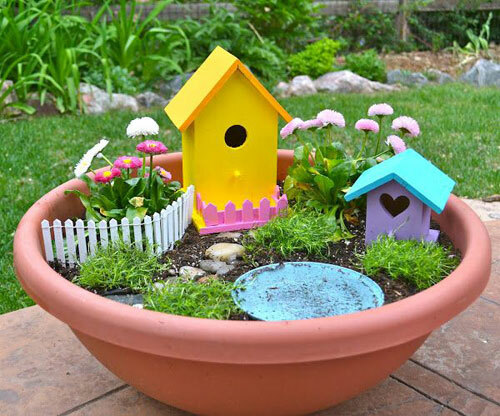 Children of all ages love these types of garden/pottery projects. Hide the container in a secret place in the yard or garden. Place it on the patio or outside a kitchen window where you can watch for the fairies to land. Create a playful place for kids to go to and dream about. Be sure to take photos to preserve these types of memories. Arizona Pottery is here to help made those magical moments happen. 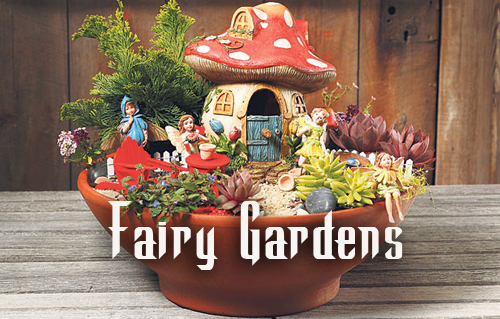 Shop our website and find the perfect piece of pottery for the base of your Fairy garden! Read More.....Container Gardening For Food.